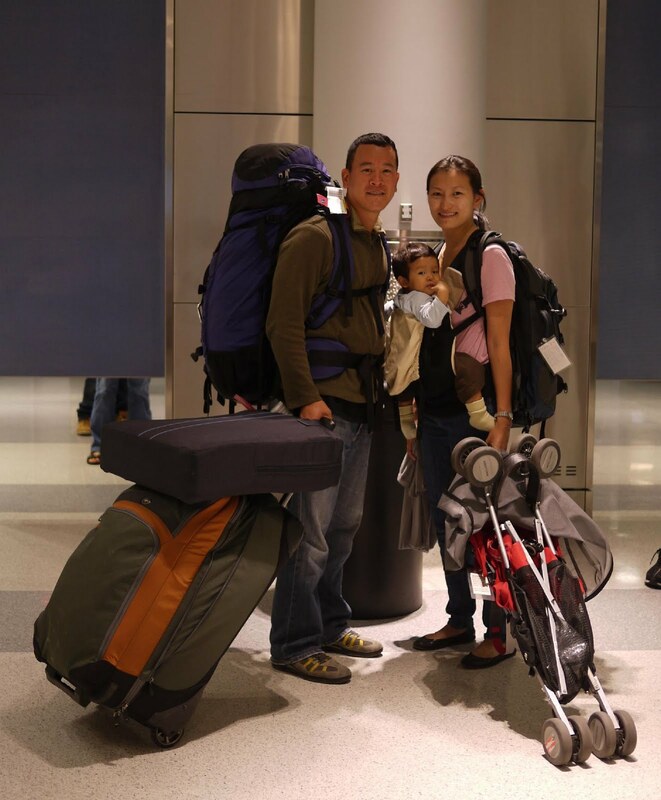 After nine months of living abroad, we're now back in the United States. 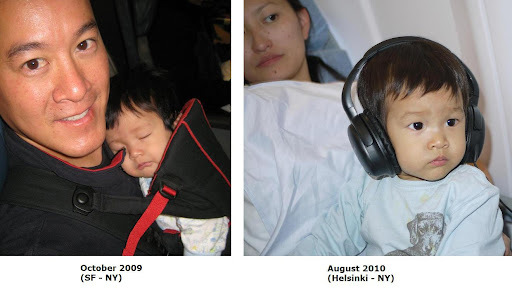 Sometimes it feels like just yesterday when we departed for our world trip, but looking at our son on the flight back compared to when we left, it is clear that time has passed. In the last year, we traveled through countless airports with all of our gear and luggage. It is hard to believe that we lived out of our suitcases for so long, but we also learned how little you actually need to live happily. By the end of our journey, we were able to pack up everything in less than 30 minutes and had the routine down pat on how to walk and carry everything. James would tow my suitcase and the travel crib while carrying his pack. I would carry the laptop/diaper bag on my back while Jackson was strapped to my front, and also tow the umbrella stroller. We got around airports, metros and city streets like a well oiled machine. We are staying in New York for a few weeks before returning to California. We still haven't finalized our housing plans yet since we gave up our rental when we left, but I'm sure we will feel at home wherever we land.